Amazing Opportunity for Pharmacists. Be quick, read this article and Click on link to know details and apply directly. Pharmacists Vacancy in Dubai, United Arab Emirates. One interview location is INDIA, Read full to know all details. Hurry, Read full and Click to apply for Pharmacists vacancy. Please note that this is a free recruitment conducted by Aster Pharmacy Dubai, DIRECTLY. 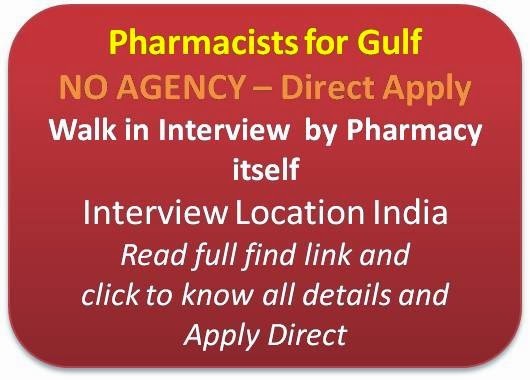 Want to know the location and full details of Walk in Interview for Pharmacists for Aster Pharmacy in Dubai. Please CLICK HERE, to reach the information page to know the Date of interview, Testimonials to be produced during interview and all other details.